There is a reoccurring theme I often encounter when I work with a new swimmer. It centers on breathing. First I watch for the bubbles and then we have the conversation about exhaling. Very few novice swimmers exhale and nearly all intermediate swimmers think they are exhaling correctly. Here is a fact. When swimming you never have to think about the inhale, it will always happen. What you do have to think about is the exhale, as this is the key to breathing correctly while swimming. If you want to make freestyle easier, get more balanced in the water, and swim relaxed while going fast “just breathe”. 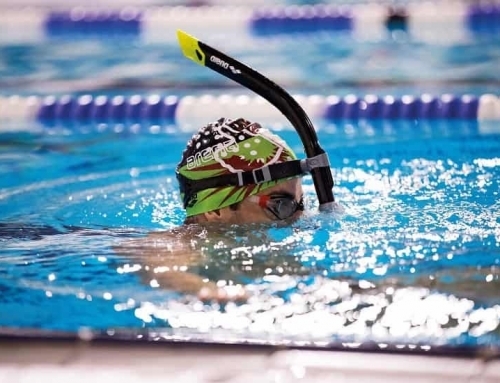 Most swimmers after inhaling and putting their face in the water hold their breath for at least one stroke. Consequently, right before there next inhalation, they exhale late into the water and they finish their exhale when they turn their head to breathe. In their mind, they feel they are exhaling in the water, but because they have too little time to exhale, they never get enough breathe on the inhale. 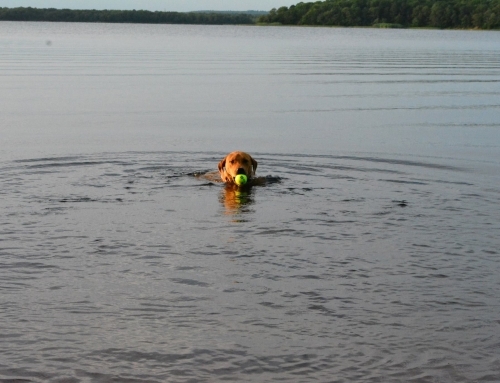 They put their face back in the water feeling out of breathe and expend more energy. This creates a bad cycle that never ends well. A classic case of “too little too late”. Swimmers also try and exhale and inhale when they turn their head to breathe, taking a breathe, only when their mouth is above the waterline. They feel safe that they will not take any water in their mouth. This is a technique that never works. 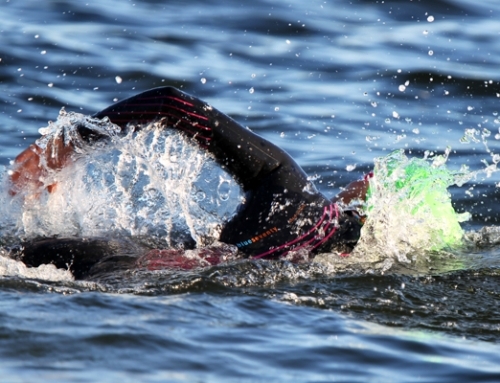 When a swimmer learns to breath this way, the head gets lifted higher and higher out of the water, the breathe is captured in a panicky manner, the legs drop as the head lifts creating lots of drag. It is important to come to terms with the water when learning to breath. You are in it, it is all around you, and it will be in your mouth and nose that’s a fact so do not fight it. Swimmers hold their breathe because they are tense in the water. FACT! Nothing good ever comes from not breathing. Think of situations in life when you are tense. One of the first things you think of doing is to “breathe”. The same theory applies to swimming, letting go will work, holding your breathe is never good for your swimming technique. The result of it is the lack of oxygen and buildup of CO2 in your bloodstream and lungs. This all equals desperation for air. The excess of CO2 hurts the swimmer aerobically. It is similar to being in constant sprint mode. If you are trying to keep your speed and effort equal, it will never happen, your effort will be much greater. Try this, the next time you’re running or doing something aerobic try holding your breath for 3 seconds and then suddenly inhale and exhale before holding it again – get back to me and let me know how it works for you. When swimming, bilateral breathing is the only way to go. Holding your breathe makes this technique hard. The buildup of CO2 in your lungs from holding your breath makes the strokes between breathes choppy and uneven. Swimmers then revert back to single side breathing and an imbalanced stroke. Then the domino effect starts to happen, problems with technique start to appear such as scissor kicks and hands crossing the center line. Your body roll becomes poor on your non-breathing side which leads to problems with the recovering arm swinging low over the water. All of this because you’re not exhaling! Now that you know what holding your breathe can do, let’s look at some of the ways you might be able to change. First and foremost, whenever your face is in the water exhale! Exhale through your mouth or nose, or both, it does not matter. 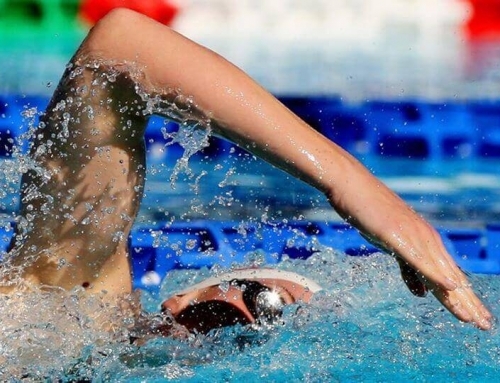 Developing a smooth, relaxed, rhythmical stroke will help to ease tension while swimming. Easy for me to say, but breaking a bad habit is not easy. Here’s the thing; “nothing changes if nothing changes”. If you breathe into the water constantly when swimming you will feel better, no CO2 build up no desperate feeling for air. 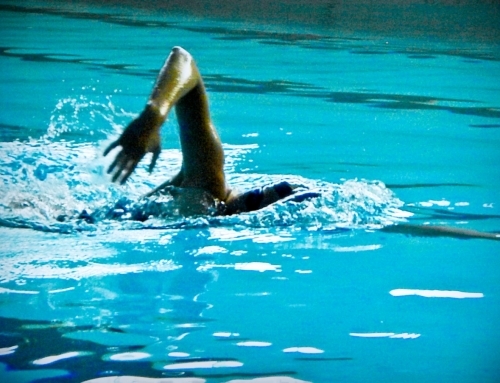 Bilateral breathing will create a balanced symmetrical swimming technique, the key to this is constant exhaling in the water. If you fear being under the water learn to sink. Begin in the shallow end of the pool, and move to the deep end of the pool as you progress. When you are relaxed take a breath in and let yourself sink. As soon as your head is in the water start exhaling strongly through either your nose or mouth, whichever you prefer. Make sure you are exhaling straight away. If you are not exhaling immediately, or you are not exhaling strongly enough, you won’t sink – or you will sink a bit but then surface again. Push off the bottom. Play in the water. Let it become your friend. Swimming is a lifetime sport one that can be enjoyed into the “golden years”.